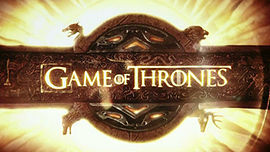 I just finished binge watching the first two seasons of HBO’s Game of Thrones (don’t worry, I also read all of George R. R. Martin’s A Song of Ice and Fire books, on which the show is based). Being immersed in the rich world Martin created, I find myself starting to think about the characters and situations outside of the context of their fictional world. One thing about an epic fantasy series is that it sustains an extremely active online community. Message boards are devoted to dissecting the characters, their motivations and what might happen next. I especially enjoy the posts that evaluate the strategies of the various players in the game. Sometimes it’s easier to think strategically when we place ourselves in a different world without all of the usual barriers and naysayers. We can learn a lot from the Game of Thrones – even about strategic business communications. It is known. In season two of the TV series, Tywin Lannister knows that Robb Stark stands to attack him with a force of 20,000 men. He prepares for battle and thinks he wins a great victory. Unfortunately for him, the Young Wolf cannily split up his forces and his attack on Tywin was just a feint. The bulk of his army marched against, and captured, Tywin’s son Jaime. What Jaime & Tywin needed was a reliable, dedicated, high-speed flow of communications between their “offices”. That way, Tywin would have known not to engage Stark’s small force, but instead to ride post haste to the real battle. A good modern day example is how Minneapolis’ Davanni’s Pizza & Hot Hoagies uses TDS managedIP Hosted business VoIP to easily route delivery calls to the correct location. No matter the game, it’s all about deploying your resources effectively. King Robert Baratheon travels a thousand leagues from King’s Landing to Winterfell to ask Ned Stark to be the Hand of the King. His journey takes months, costs untold gold to a realm already heavily in debt to the Lannisters and the Iron Bank of Braavos, and starts the chain of events that will lead to upheaval across the Seven Kingdoms. Maybe he should have just sent a raven. While ravens were the epitome of fast communications in Westeros, today we can use a business Internet and phone bundle for remote conferences that are just like being there, at a fraction of the cost and with minimal risk of interpersonal squabbles. Although ravens do have a certain techy cool to them. Daenerys Targaryen doesn’t find it the least suspicious that the exiled knight, Jorah Mormont, makes a habit of running off alone after momentous occasions in her life (her marriage, her pregnancy). She should have done a much better job of monitoring communications between her Dothraki horde and Westeros. Bandwidth monitoring wouldn’t tell her what information Jorah was sending, but just by observing timing, volume and individual usage, she may have detected some very interesting patterns. Today, bandwidth monitoring isn’t going to reveal a spy in your midst, but it is going to show you how to optimize your network efficiency and reduce operating expenses. While negotiating at The Twins to cross the Trident River, Robb Stark shoots down the Frey’s ravens, just to make sure they couldn’t get word to the Lannisters. Some enterprising smith should have forged tiny raven armor to protect them. Am I alone in thinking this is a great idea? Anyway, the lords of Westeros, much like businesses today, are great at protecting themselves and their assets behind walls and safes. While the dragon lords may have erected a literal firewall, we can’t overlook the need for Internet security for businesses. Never underestimate the power of fast, efficient business communications. In Game of Thrones, one of the most powerful players is Varys. He’s not a king or a warrior. He doesn’t have any magic. What he does have is a mastery of information and communications. If he can win the game with that, just think what upgrading your business internet or phone system could do for you! Thanks for spoiling the plot on Jorah. I guess you didn’t watch seasons 1 and 2 closely enough to see that there’s no evidence he’s a spy in them. There is. You find out he’s a spy in season one. In the seventh episode, while Daenerys and her entourage go sightseeing at a market, Jorah receives a pardon for him to return to the Seven Kingdoms from an informant of Lord Varys. He realizes this means the order to assassinate Daenerys has been officially issued and quickly saves her from a wine merchant who tries to poison her. Here’s another excellent article about what businesses can learn from Game of Thrones. Who knew the show could be so inspiring?! Robert visited Ned directly to show him the respect of an actual visit. Sometimes important communications (like pledging to serve the king and pretty much run the 7 kingdoms) require a real life visit. That’s a good point, Spencer. We have to balance the convenience of technology with the importance of the personal touch.